1. New York researcher eMarketer said today that 32 percent of U.S. companies with 100 employees or more will use Instagram for marketing this year. That number will increase to 49 percent next year before jumping to 71 percent in 2017. 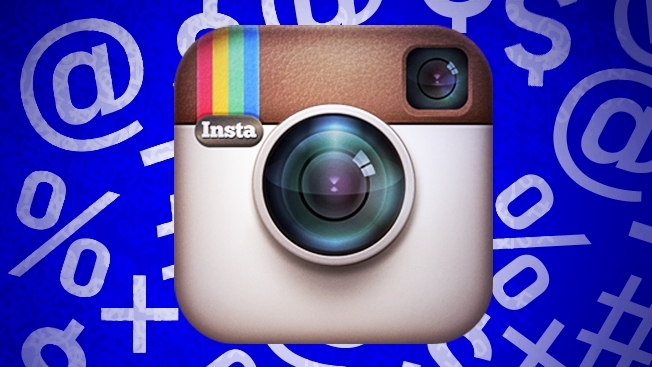 What's more, eMarketer said, Instagram may be more popular with marketers than Twitter in two years. 2. CEO Evan Spiegel and his team forecast that Sponsored Selfie Filters—a new ad unit from Snapchat—will reach up to 16 million viewers a day, BuzzFeed reported. The ad purchase will cost a maximum of $700,000 per day. 3. According to Fast Company, Snapchat earlier this year discovered that between 60 percent and 70 percent of users stopped watching its video ads after just three seconds. Coca-Cola, however, has evidently cracked the code by simply making content tailored for the app. Working in concert with Snapchat, the magazine reported that the soda giant is getting a Snapchat video completion rate of 54 percent for 10-second clips. 4. Twitter has started offering Conversion Lift, which helps brands measure the effectiveness of Promoted Tweets, enabling them to better target ads. Referencing Conversion Lift data, the San Francisco tech company claimed that people who see Promoted Tweets are 1.4 times more likely to interact with a brand than those who don't see an ad. 5. Millward Brown polled more than 13,500 multiscreen viewers—i.e., people who own a TV and either a smartphone or tablet—in 42 countries on what they think about video advertising. The researcher found that the average consumer between the ages of 16 and 45 watches 204 minutes of video a day, split equally between TV and online. Indeed, the tube and digital video are now on equal footing for both Gen Y and Gen X consumers. What's more, 45 minutes of the average online viewing time is done on a smartphone, while desktop accounts for 37 minutes and tablet for 20 minutes. 6. The aforementioned eMarketer study also found that 88 percent of U.S. companies will utilize at least one social-media network for marketing this year. 7. P.F. Chang's is running a user-generated content effort around National Breast Cancer Awareness Month in October called #PFChangsPink. The brand saw a 1,300 percent bump in UGC from the goodwill initiative in its first eight days. 8. During last week's Democratic presidential debate, Hillary Clinton's Twitter handle got 293,696 mentions on the microblogging platform, besting challenger Bernie Sanders' 278,405. 9. Mode Media, formerly Glam Media, said it has streamed more than 1 billion video views in the past six months. Mode.com's channels include Glam (women's lifestyle), Brash (men's lifestyle), Bliss (health and wellness), Tend (parenting), Foodie (recipes and restaurants), among others. Bonus stat: So far in 2015, only 14 percent of initial public offerings have been done by tech companies, per a Wall Street Journal article citing stats from Dealogic.